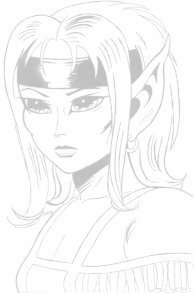 This is a list of major and minor characters in the Elfquest world, all elves. I do intend to make a list of trolls, humans and possibly even preservers at some point, but that is as and when time permits. The information here is as far as I know it and to the best of my sources. 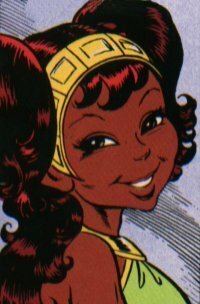 If you feel there is a blatant mistake somewhere, or if you have a page devoted to one of these characters and it's not listed in his or her bio, feel free to contact me. I won't guarantee to amend or add it, but I'll certainly treat every e-mail with an open mind. You may notice there are no Wavedancers here. This is because I still know very little of them, so cannot make a good bio on any of them. Again, I might add them sometime in the future. If you are still looking for a list of Wavedancers, go to Cathy's page. She has a full Who's Who on Wavedancers. 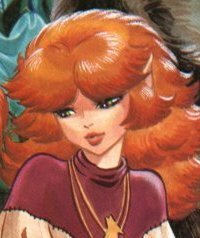 If you want to see a list of every single elf, wolf, troll, human and preserver, from the comics as well as the novels, have a look at Dreamwood's Who's Who. Her list is complete, though not as detailed as mine.